As social media service marketers, we like to establish processes and protocols that leave room for little to no error in everything we post on behalf of a client. But no one is perfect. Mistakes happen. When they do, it’s all about catching them and addressing that particular situation as fast as humanly possible. If you are lucky enough to have a flawless record, it’s because you have learned what NOT to do from those who have been less fortunate. Inevitably, it’s all about making smart decisions and knowing over time what is appropriate, and what is not. Here are four of those less fortunate brands, and a few golden rules to remember prior to pressing the “tweet” or “post” buttons. The Mistake: Using highly sharable inspirational quotes on social media from cultural icons can be a smart strategy, but there are exceptions to this rule. Case and point with the Seattle Seahawks. 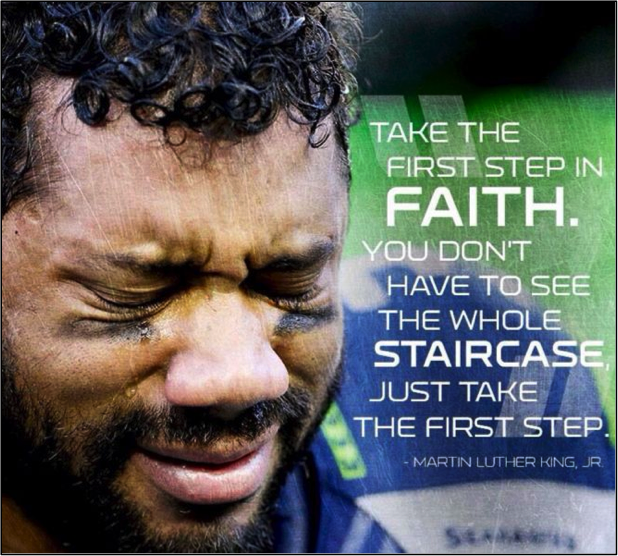 After winning against the Packers and gaining a spot in the Super Bowl, they took an image of their quarterback crying and used a quote from Martin Luther King in relation to the Civil Rights Movement for Martin Luther King Day. The text copy was “We shall overcome.” In seeing this, the Twitter-sphere, rightfully so, preceded to call the team out for their lack of respect in relation to the actual struggles that happened during that time period. The Takeaway: It’s always a nice idea to capitalize on trending topics and stay relevant, but ONLY when they are neutral to all parties and make sense for your brand. The Mistake: In response to the 2013 documentary “Blackfish” and in anticipation of a tell-all book from one of its killer whale trainers in 2015, SeaWorld opened a door for anyone to ask questions regarding their killer whale program on social media using the hashtag #AskSeaWorld. The idea was for their team to answer these inquiries and explain their reasoning/processes in real-time. This plan backfired, as the angry audience’s comments heavily illustrated negative sentiment about the treatment of their orcas. The Takeaway: Never underestimate the power of the opinionated social media public. If there is potential for more negative feedback than positive, perhaps it’s best to not try and prove them wrong or rectify the situation in real-time, and instead just tread lightly. 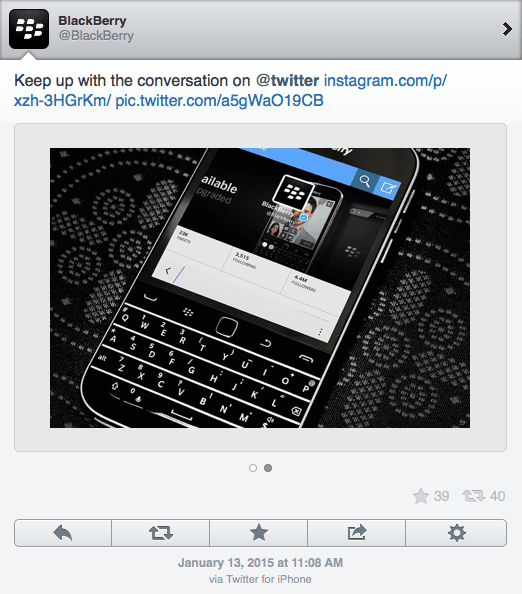 The Mistake: Blackberry posted a tweet promoting its Twitter page in 2015. The concept was spot on, but there was one small detail overlooked. Can you find it in the image below? Take a peek at the very bottom, where it says “via Twitter for iPhone.” iPhone is a direct competitor, so this was one minor mishap with major ramifications. Whomever posted this tweet failed to realize that – even though you can’t see it on your desktop – this tiny automated message would pop up for users who viewed it via third-party Twitter applications, such as TweetDeck. The Takeaway: Attention to detail is vital. When in doubt, tweet from your desktop to avoid any potential mistakes. Also, remember that if you delete your tweet, it does not go away forever. One screen shot is all it takes to live in the social universe for a lifetime, so it’s better to address your mistake and move on rather than delete it and think the issue will disappear. The Mistake: It’s good to be adventurous when strategizing your social media services and creating a funny brand personality. However there is such thing as TOO adventurous. 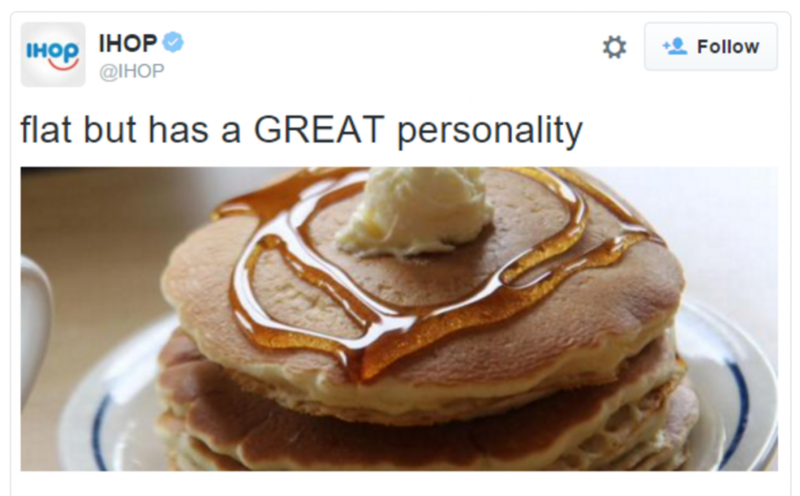 IHOP learned this lesson when it tweeted the following joke about a stack of pancakes. This post immediately received backlash from loyal fans, many of them families with children who follow their Twitter feed. The Takeaway: There is a borderline between funny and offensive. Don’t cross it. Also, always remember your audience. If you have families who enjoy your brand, know that you should probably not be posting racy tweets regarding the food they enjoy. One thing IHOP did do well? It deleted the post and acknowledged its wrongdoing in a heartfelt apology.